Happy weekend, friends! Oh goodness, we had another interesting property viewing this week. I probably should explain that housing prices in our area are completely out of control. We heard on the news that Eugene, Oregon is second only to Seattle in the entire country for low inventory of houses which pushes already high prices up. So our goal of downsizing, both in size and cost, is proving more difficult than we imagined. Well, since we’re not looking for a condo or something like that. So this week was another example of how Google birds-eye views and listing agent’s carefully chosen photo angles don’t tell the whole story. Up for sale was an almost 2 acre property (more than we want, but because of what I explained, we’re looking at almost everything) with an old single wide mobile home, but surrounded by farmland. When we drove by, though, we saw that the farmland was all on the far side and the entire drive from the freeway to the house (1+ miles) consisted of run-down industrial buildings and active wood mills. Throw in a couple moldering old RVs, a sweet old tire raised bed garden (20! ), and the Oregon countryside standard shredding-blue-tarps and we quickly checked it off the list. You know what they say about location, right? 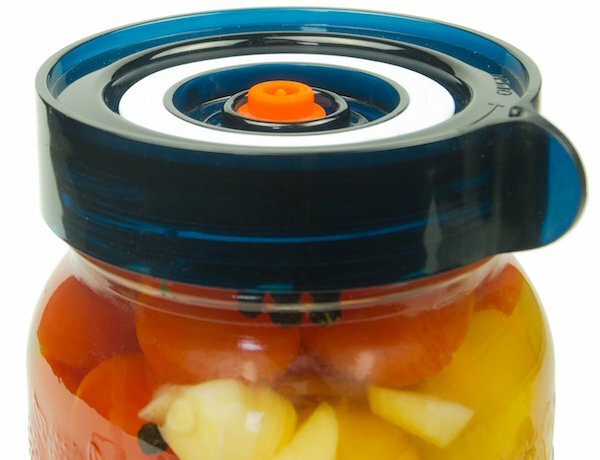 Easiest fermenting ever with Easy Fermenter lids. I think I’ve mentioned that at the beginning of the year I started researching digestive health more in-depth than I ever have. In the process of this I discovered these fermenting lids that took the mystery (and a bit of fear) out of fermenting for me. Guys, these lids are WONDERFUL. You do not have to worry about burping or liquid overflowing (unless you fill the jars too much) – you basically add ingredients to a jar, attach the lid and let it ferment. That’s it. And if you’re wondering what fermented veggies taste like (like I did) – just like anything pickled! The fermenting process basically makes it’s own “vinegar” along with all the good bacteria that’s so good for our guts. 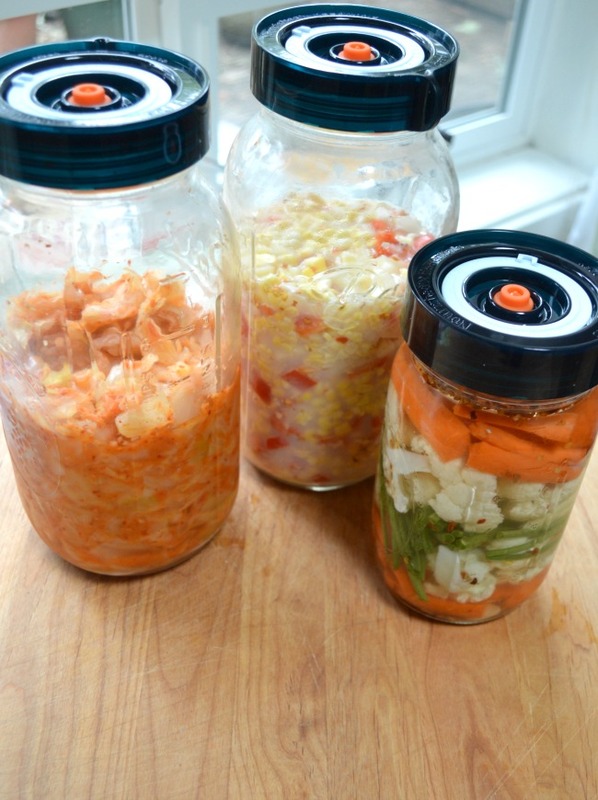 We’ve enjoyed corn relish (super easy), carrots & cauliflower, sauerkraut, and kimchi. I also bought some half gallon mason jars to be able to make larger amounts, especially of cabbage-based recipes since they take longer to ferment. I’m refining my recipes to share with you, too. It is easier than I ever imagined – you definitely do not need to be paying the high Whole Food prices for quality fermented foods! 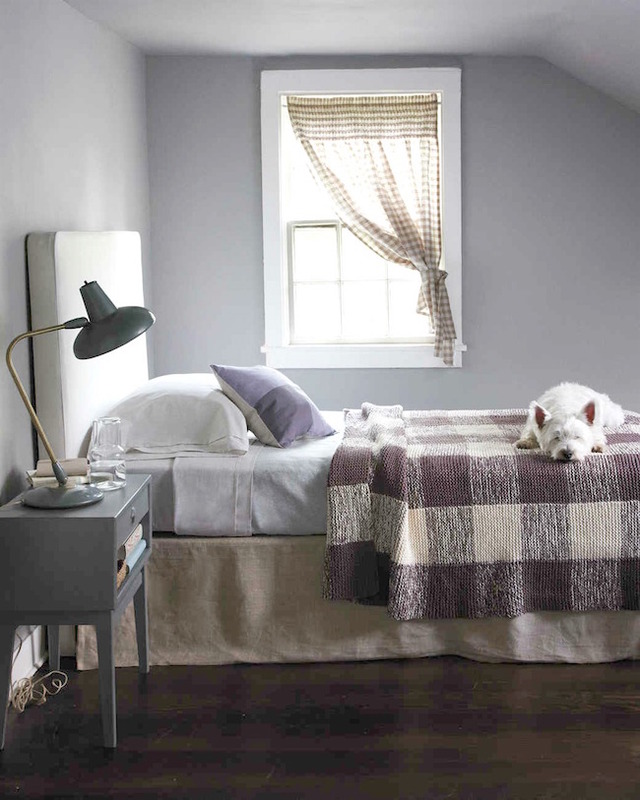 Finding low-cost yarn for this knitted gingham-plaid blanket pattern. I found this amazing knitted blanket (with the worst instructions ever – “33 hanks each of dark yarn and white” – no brand name or yardage amounts or even weight!) at Martha Stewart’s site. I decided right then and there it would be my next project. And then about had a heart attack after pricing out 66 balls of wool yarn – even at just $1.99 each. Yikes. (FYI, I don’t use cheaper acrylic yarn – it doesn’t wear well and I prefer to work with natural yarns). But it would be SO beautiful in green and cream for our house and definitely count as an heirloom, right? So I visited DNBY, my favorite discount yarn site, and found some green wool on cones for cheap like I used for these basketweave throws. Finding the Modern Mrs. Darcy kindle deal email. I’ve been reading the Modern Mrs. Darcy website for a couple of years, but never knew about this deal email until just a few months ago. This is WAY better than the standard Amazon kindle deals you may get (that never has anything I want to read), I just wish I’d found it sooner. However, this deals list is DANGEROUS, ha! I’ve already bought 6 ebooks (4 on my TBR list and 2 that looked interesting). What I like the best, though, is the audible deals of the day, since audible books are often so expensive. I’m specifically looking for books Brian and I can listen to together that I can’t find at the library through Hoopla (we just finished Born Standing Up by Steve Martin – which was read by him – and it was really good). Seriously, if you want to read more, audiobooks are the way to fit more reading into your day. 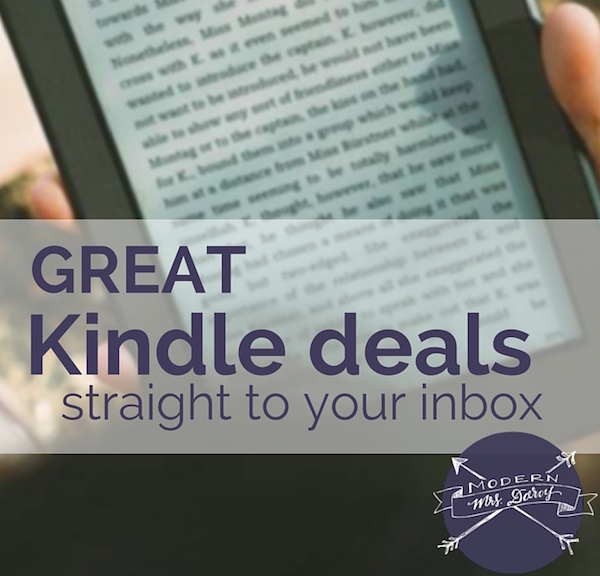 And this daily deals list is where you’ll find them – and regular kindle books – for the lowest prices. Totally in awe of this small kitchen remodel. If you bullet journal you’ll find this inspiring. A little laundry room love. Adding this paned mirror tutorial to my “next house”‘list. Uh-oh, I hope you don’t fall for this. 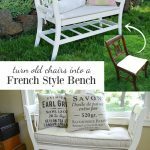 This free vintage-looking wall art is incredible! Here’s a DIY boot tray that looks good enough to live in your entry. 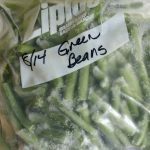 I am interested in doing some fermenting but hesitate to spend $35 if I’m not sure how much I’ll do. Did you try much fermenting without these? I realize I don’t “need” these lids to ferment but like you, I think they will make me more confident. I’ll be watching for your recipes for inspiration. Of course you can, Sue! There are lots of recipes out there, you just put a lid on the jar and open it daily to ‘burp’ it (let out the gasses it creates). I’ve also heard that you should put the jars on a baking tray or something that will catch any run-overs you may get since it happens more with regular lids. I’d suggest you start with a quart jar of cut cauliflower and carrots (or just one or the other), covering with salt water, since they’re done in just a few days. If you like it, then you may want to invest (though I thought they were $30?) since the lids make it so easy. Especially with things like sauerkraut which has to ferment longer so can often grow mold. Hi Jami! I just wanted to let you know that I found your knitting pattern on Ravelry (http://www.ravelry.com/patterns/library/gingham-knit-blanket) and they suggested “Pattern states 32 balls of yarn each color, It has been determined it should be 32 balls total of two colors.” Hope that helps! Can you tell me what those cone yarns that you buy equate to when referred to as “balls” or “hanks” or perhaps the equivalent in yardage? I enjoy your blog so much! Thank you for bringing such interesting things each week. Oh, bless you Amy! I didn’t even think to look on Ravelry, that was a good idea – especially because they say I need less, yay! As far as the cones, the thing with them is that you don’t know how much is on them. 🙁 The do list a weight range and you can buy small, medium, or large cones. It’s what you get for the price, I guess. I try to buy a lot and then just use what I have – the blanket may be a bit smaller (or larger). I only use cones for things like this that yardage isn’t critical. Does that help clarify? Hi Jami, if you want a lovely, single story, ( built in 2006)3 bed, 2 bath home in Klamath Falls OR (1850 sq feet) in a beautiful neighborhood with a covered patio, jacuzzi, oversize driveway with space for an RV or boat, 2 car oversized garage with a workshop, beautiful views of the mountains, about 1/4 acre backyard for a dedicated garden and a chicken coop with a heat lamp all ready to go, 5 minutes from the Upper Klamath Lake, 5 minutes from the airport and 45 minutes from Crater Lake,let me know 🙂 Best wishes on the house hunt! Shoot! Wish we were looking in K Falls, Michele. 😉 Are you selling? Yes, the housing market (owned or rental) in all of Western Oregon is horrible. This could be a long process for you. Location is so important because one day we will sell that same house we are purchasing today. I tied myself to one location in Salem for the last purchase and it took a long time. I was so surprised. Yes, the listing photos hide a lot. Will be an adventure following your house hunt this summer. Off topic….just checking out the Costco connection for some of the recommended products from you and the readers. Good Luck with the hunt. And the Costco recommendations are good -hope you find something new to buy!